I am holding another dog show but it will be the first in Paddington Recreation Ground!! It is all part of the Maida Vales Good Neighbours Day which is funded by Abbey Road, Little Venice, Maida Vale and Regents Park Ward Budget and organised by Jan Nairn of City West Homes. It includes Live performances, Steel Band, Talent Show Petting Zoo and of course Canine Culture 's dog show. I have held over 12 dog shows for the wards of Queens Park, Harrow Road and South Westminster and 'doggy fashion shows' to fundraise for Thai street dogs, and private dog shows in local venues. Yet before each one I have that 'Stage Nerves' panic and pray for no rain and for everything to go well!! So far - so good!! Then you have to chose prizes which will suit each category - that will be mentally and physically stimulating to the dogs. Order rosettes in plenty of time - make sure delivery is at least a week before the event. Make sure there is access to water and bring water bowls on the day - whatever the weather there should always be water available for the dogs. All dogs are welcome and of course owners too!!! Hope to see lots of dog and happy winners!! 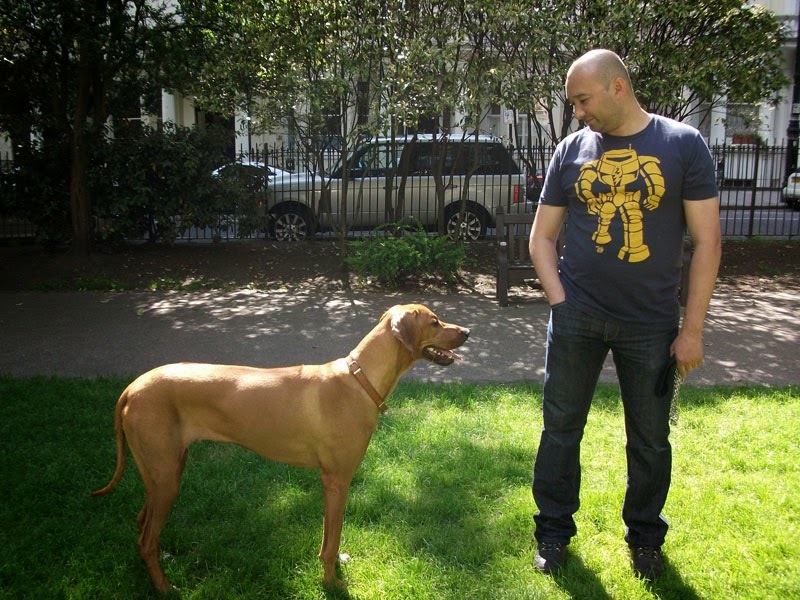 From 16th June 2012 until 5th August, 2012 I held a 'Dog Workshop' and Dog Socialising Classes in the Dog Area Queens Park Gardens,W10. During the Dog Workshop dog owners came to get advice, help with one on one behavioural problems, ask for details of microchipping , neutering, diet, help with excessive barking. I had Coco the staffie who had problems with other dogs - Bella the mix breed who was just a pup and needed help with advice on toilet training, jumping up and recall. The workshop was from 2pm-2.30pm and gave dog owners a chance to have a one on one lesson with me, Bella joined the Dog Socialising Class but I arranged with Coco's owner to meet during the week to have a one on one extra session. Diva was another dog - a staffie - who had problems with other dogs since she had been attacked - unfortunately Diva's owner only became aware of the dog workshop and classes on the final day. So spent some extra time after class to help both Diva and her owner. Over the course of six sessions there were 16 owners and 17 dogs, with four dogs at the most in the dog workshop and twelve owners and dogs in the classes - the least in the dog class were nine owners and ten dogs.